Your essential companion for applying the cult Waterblush fluid blusher, the Daniel Sandler Waterbrush creates perfectly flushed cheeks with ease. 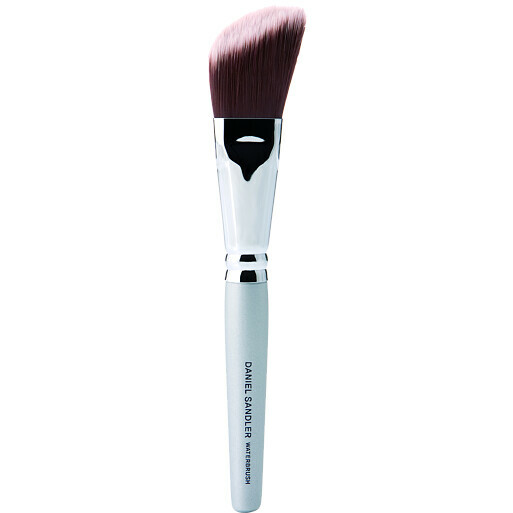 Specially designed, this tool is the ultimate makeup artist’s tool for a flawless finish. Made from synthetic hair. Daniel Sandler Waterbrush is rated 3.5 out of 5 by 6. Rated 4 out of 5 by Susieannah from Worth buying I've been using the watercolour blush for several years now and always just used my fingers. I decided to treat myself to the brush and so glad I did, it really does go on so much better and you can blend it so much better and you don't end up having to use more product either. Wouldn't be without the brush now. Rated 4 out of 5 by Taisy from Decent Brush I purchased this brush to accompany the Daniel Sandler Watercolour Blushes, and I've found the two products work perfectly together. Unlike what DS suggests in his how-to video, I prefer putting a drop of the liquid blusher on the back of my hand, working the brush into the drop to pick up enough product, and then applying it onto my cheeks. The bristles are soft and tightly packed and pick up just the right amount of product, so minimises wastage. The tapered end is useful if you're a fan of contouring with blushes, and does help if you want to create a sharper look. The bristles are quite long, however, so if you prefer stippling or buffing in liquid/cream products this wouldn't be the best brush for you. I've washed the brush several times and have not seen any shedding or loss of shape whatsoever. One downside is that it did smell funky (chemicals? not sure) when I received it, and despite washing the brush several times it's still lingering. I haven't tried using this brush with any other products, but I imagine it'll do fine with other liquid products with a similar consistency to the Watercolour Blusher. However, if you already have a similar brush in your stash, I wouldn't bother buying it just to go with the Watercolour Blusher range. Rated 4 out of 5 by AllAboutTheGlossy from Great for the DS Watercolour blushes This brush is really great for applying the Watercolour blushes - which is obviously what it's for. It's a well made, angled, flat brush and you use it by putting the watercolour blush on the back of your hand and then dipping the brush in and dabbing it onto your cheeks. 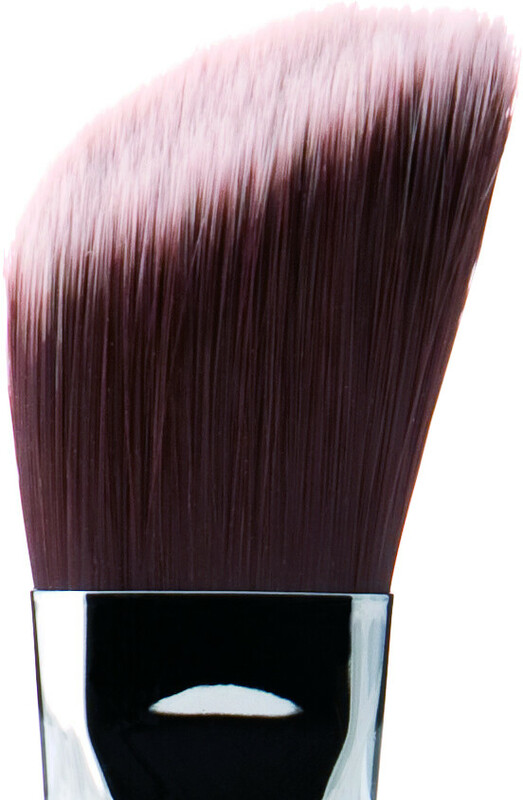 It's great for blending the product out and as its a synthetic brush it doesn't seem to absorb lots of the product either. I can't say as I have used this with anything else, but I think its a great multi-tasker and would be great with any cream cheek product.